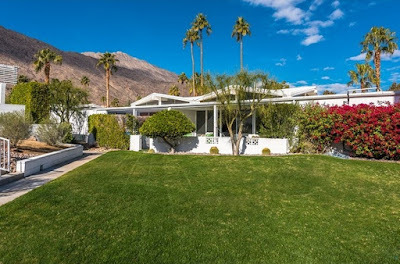 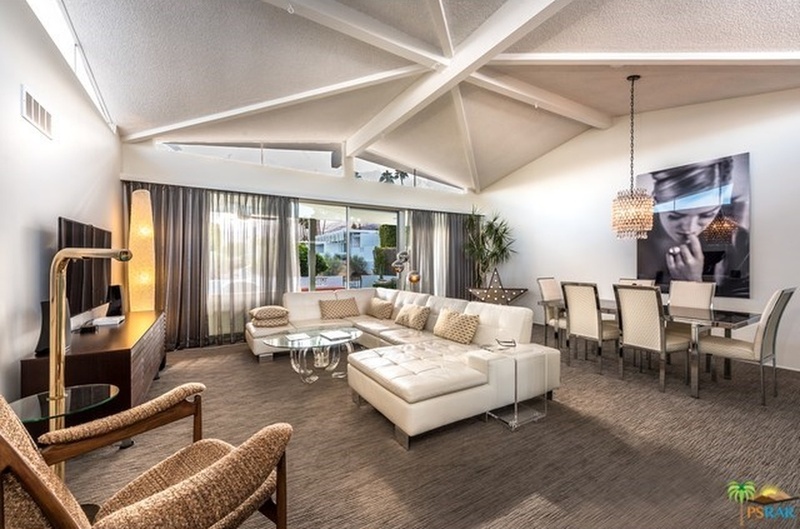 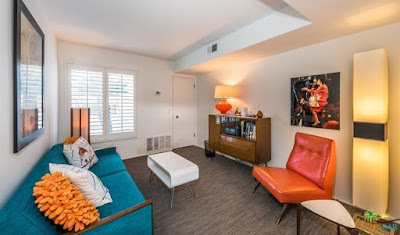 Located in Canyon View Estates in south Palm Springs, CA is this 1963 Palmer & Krisel-designed midcentury modern condominium which has been on the market for approximately one month. 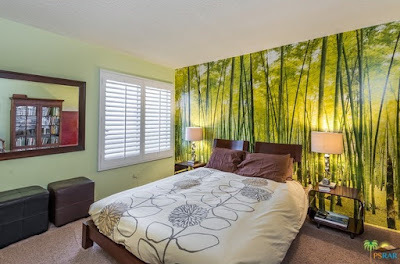 With three bedrooms and two bathroom in 1,684 square feet, the asking price on this home is $420,000 with monthly HOA dues of $320. This particular unit faces north and features its original single-car carport in its original configuration, highlighted by natural stone accents. A crisp white exterior with decorative block is set against a plane of lush, green turf while desert plantings accent the entryway. 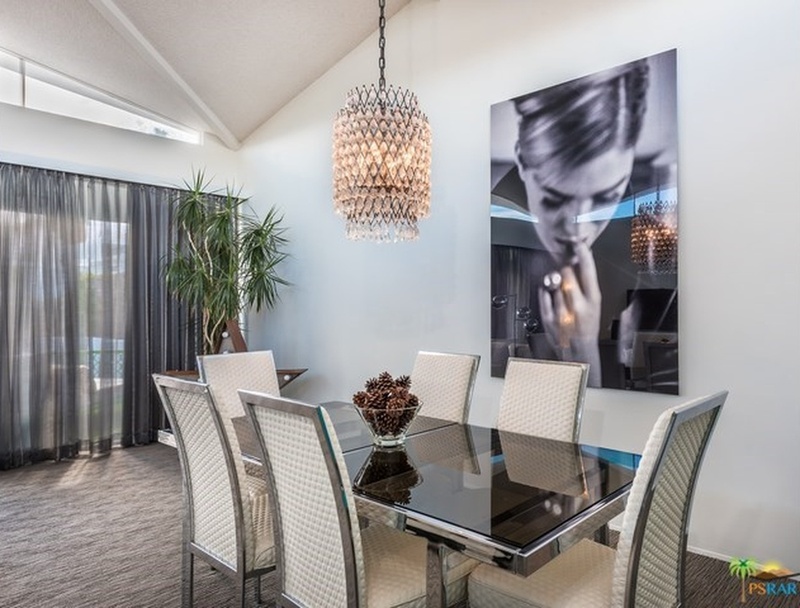 The small entry hall sits adjacent to the kitchen and opens up into the living and dining rooms which overlook the south-facing patio and community greenbelt. 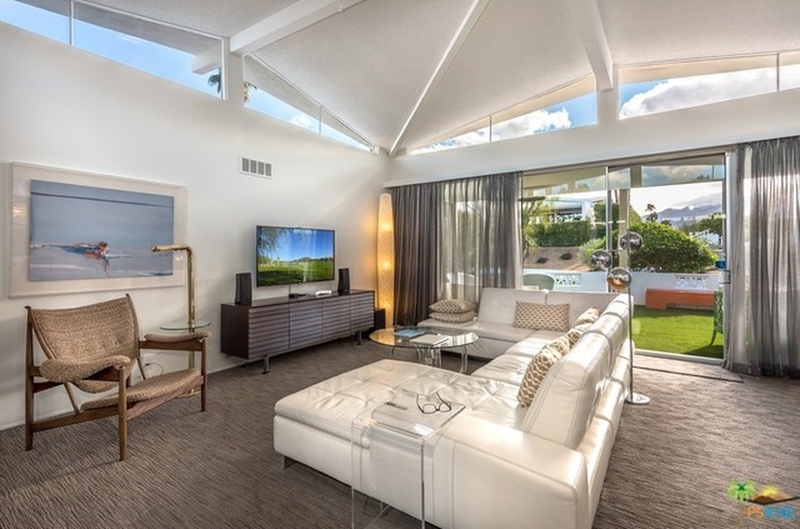 The eight-pointed vaulted ceiling offers south, east and north-facing clerestories allowing lots of natural light to enter the living space. 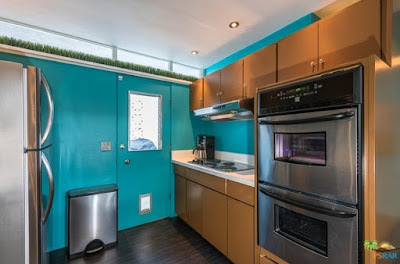 Floor-to-ceiling windows line the south wall of the room, while a large pass-through on northern wall opens up to the kitchen. 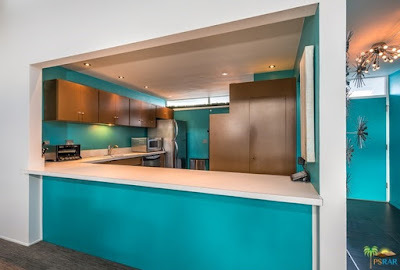 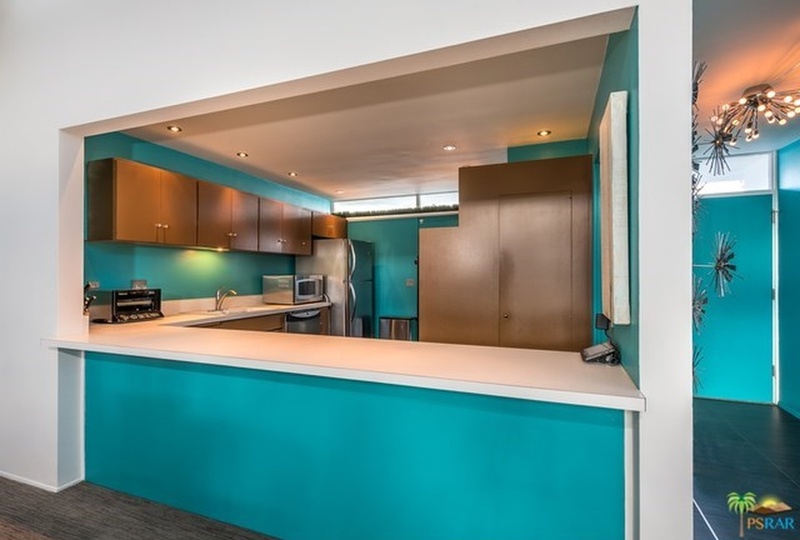 The kitchen maintains its original cabinetry, laminate counters and brightly painted aqua walls. High north-facing clerestory windows creatively lined with artificial turf accents add unique character and detail to the room, and an access doorway is provided to the front service porch. 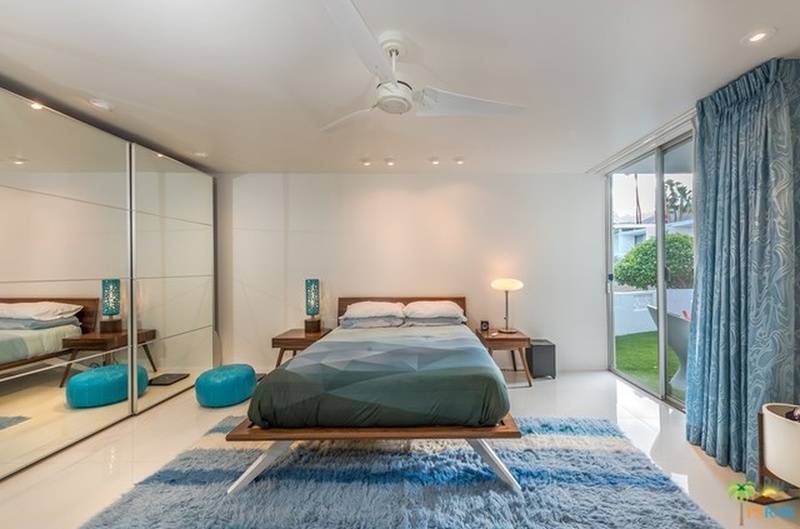 The master bedroom sits at the rear of the home and overlooks the private patio area through a large floor-to-ceiling sliding glass door. Mirrored closet doors and porcelain floors create a sleek, polished look to the room. The two secondary bedrooms are in their original configurations, with one bedroom located at the front of the home and the other located at the middle of the home with a small light well allowing natural light into the room. 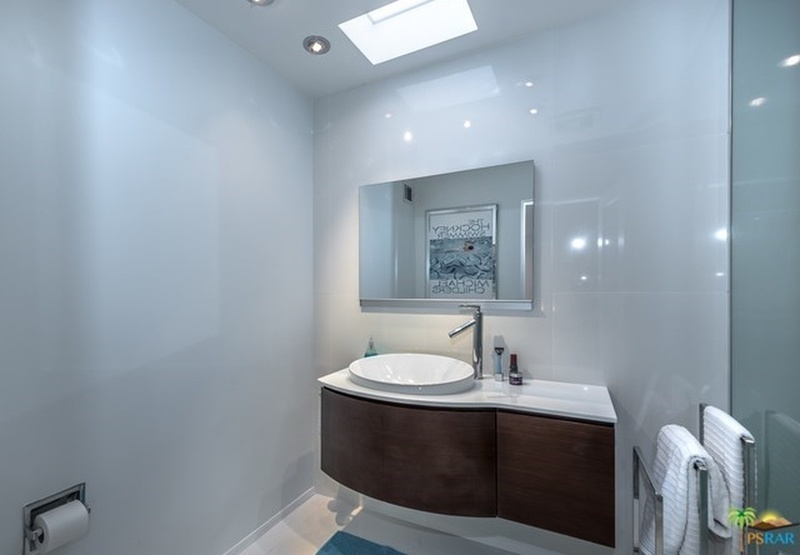 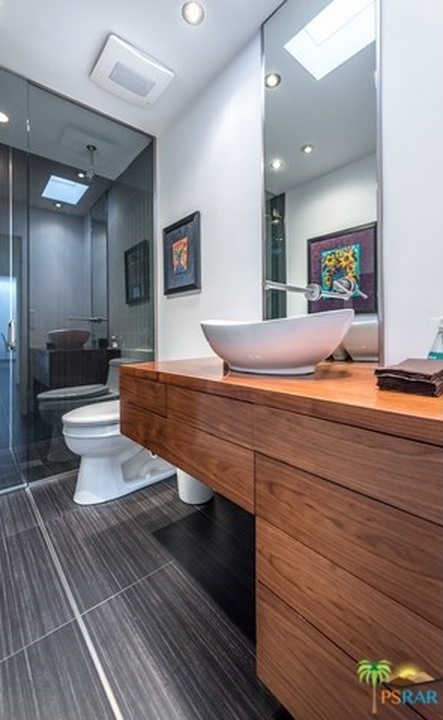 Both bathrooms have been updated with clean, contemporary materials, low-profiled vanities and sleek shower enclosures. 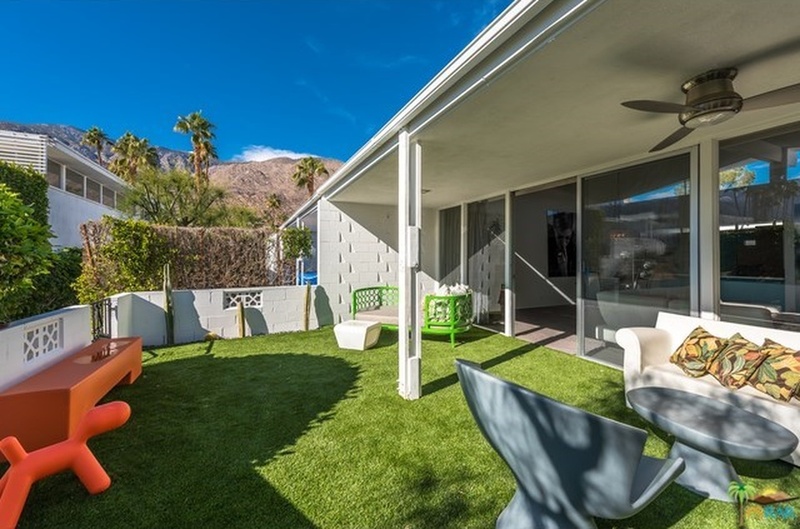 The rear patio overlooks the private community greenbelt, with a low wall enclosing the area and artificial turf covering the ground plane. 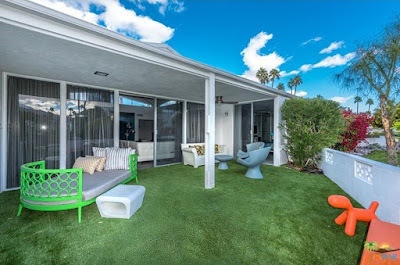 Minimalist plantings and mountain views allow create a tranquil outdoor area perfect for entertaining or relaxation. 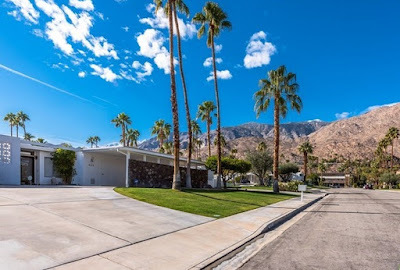 The Canyon View Estates condominium complex offers beautiful architecture set amid tranquil, quiet grounds with impressive mountain views. 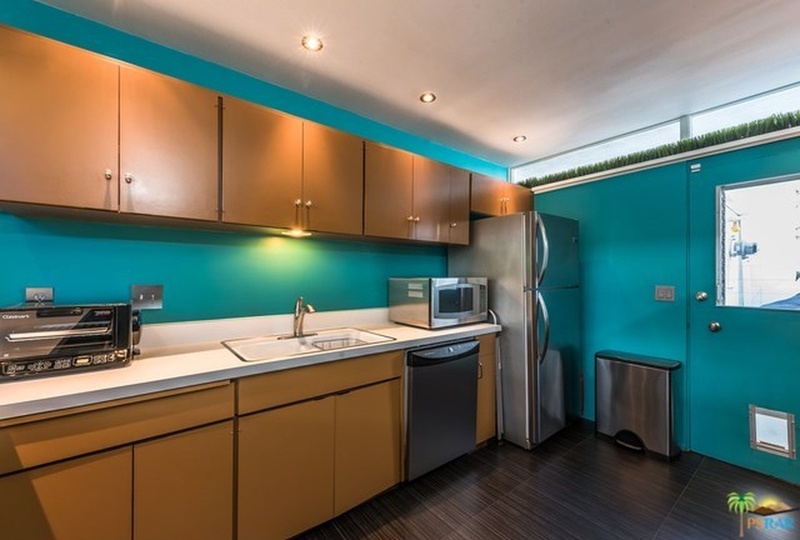 The attention to detail and fantastic location make this unit a must see.